Our firm has been handling medical malpractice in NYC and Long Island for over 38 years. Medical malpractice, also known as medical or professional negligence, is a particularly specialized area of personal injury law that requires a comprehensive understanding of legal issues, medicine, and science. Medical malpractice can happen when a health care provider does not practice in accordance with good and accepted medical practices and standards of care and patient safety applicable to their specialty or area of practice when treating a patient, and this departure and patient safety violation causes or contributes to injuring the patient. Before a lawsuit is filed, even seemingly simple cases of medical malpractice in New York require a thorough review of all relevant medical records with an expert physician who is knowledgeable about the potential defendant’s area of practice and the relevant medical issues. Medical or professional negligence or malpractice as it is currently referred to under New York Law exists where there is proof that a physician or hospital departed from good and accepted medical practice(s) or standard(s) of care and patient safety which is a substantial factor in causing or a proximate cause of injuries and harms and losses to a patient. In simpler terms it is the failure to exercise reasonable care rising to the level of a departure from good and accepted medical practices in the community which causes an injury or harm to the patient. The purpose of medical malpractice litigation is to hold wrongdoers accountable and to fairly and justly compensate the patient for all the harms and losses causally related to the professional negligence or medical malpractice. Moreover, holding doctors and hospitals accountable for their wrongful conduct deters the recurrence of similar unsafe medical practices and procedures and thereby protects and promotes the health, safety and welfare of the public. Tort reformers argue that the cost of medical malpractice litigation is exorbitant, and increases the price of medical care to consumers. However, the truth is that the total cost of medical malpractice litigation is only a very small percentage of the cost of health care in this country. Some studies have shown this cost represents only 1 percent of the total health care costs. Moreover, according to a recent scientific study conducted by the Institutes of Medicine almost 100,000 persons are injured and die each year because of negligent medical errors. This constitutes the loss of a 747 plane load of passengers every day! However, only a small percentage of those injured or killed bring suit. Dangerous and unsafe medical practices, procedures, surgeries, medications and devices cause our society incalculable harms and losses by way of loss of productivity including income and earnings as well as substantial medical and hospital expenses to care for the injured and disabled. Clearly, making the practice of medicine safer and protecting the health and safety of the public is a number 1 priority! The argument that medical malpractice lawsuits are frivolous and drive up the cost of medicine is patently false and absurd. Doctors order and perform diagnostic tests and studies and perform procedures based on necessity. These diagnostic tests and procedures are called for in order to rule out the diagnosis of a potentially life threatening serious illness or medical condition that can be treated and help improve outcomes if diagnosed in a timely fashion. These illnesses or conditions to name a few include cancer; heart and lung disease; kidney disease; abdominal and GI pathology; birth injuries: aneurysm and stroke. How often do we hear health care providers advertise the importance of early diagnosis and treatment! Nevertheless, there are doctors and health care facilities that do perform unnecessary tests and studies for reasons of profit and not because they are afraid of malpractice lawsuits. As an example, a recent study in Texas reported by the New York Times showed that despite draconian tort reform basically eliminating medical malpractice litigation, the cost of Medicare and Medicaid reimbursement in Texas increased substantially. The study concludes that this was caused by the profit motive and not due to the alleged practice of defensive medicine. Our law firm takes great pride and professionalism in the investigation and prosecution of meritorious claims of medical and hospital malpractice and negligence. As almost everyone agrees, "if you have your health you have everything". 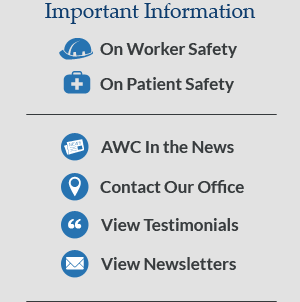 We dedicate our efforts to advocate for patient health and safety and reduce negligent medical errors and injuries to patients. In this endeavor we will seek accountability and fair and just compensation for those patients who have suffered serious injuries, disabilities and/or economic losses caused by the unsafe practices and wrongdoing of doctors and hospitals. Call us for a free consultation to discuss your medical malpractice claim. And remember – If you have a personal injury there is NO FEE UNLESS WE WIN (expenses payable at conclusion).